Today was our last day of language class for the year. We will go back on Monday for our exams, but for our current level, our exams are not too much of a worry. 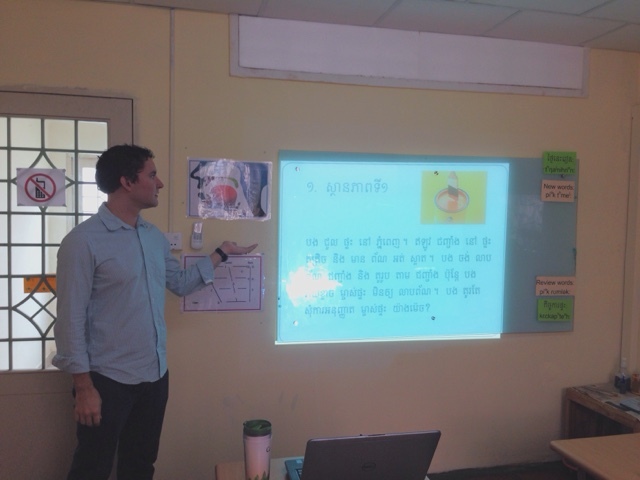 That is because a large part of our evaluation for this level is to facilitate an hour-long class period with a presentation on a topic we researched and interviewed Cambodian people about—all in the Khmer language! This presentation has been dominating our thoughts for the last 5 weeks as we interviewed strangers and friends, learned to type in Khmer, collected phrases to teach our classmates and practiced our presentations. We are happy to report that we have both finished our presentations and that they went well! Our presentations were all about speech acts, or ways a culture combines certain words and actions in order to communicate. 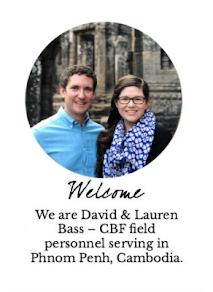 David presented on how Cambodian people ask for permission, and Lauren talked about how Cambodians decline invitations. While these presentations were a lot of hard work, the process helped us realize how far our language learning has come this year!